Dirty Carpet?? University Park; First impressions do matter!! We have all heard the saying, “First impressions are lasting impressions.” Well, it is true, especially with carpets. Dirty carpets don’t leave good impressions. Think about it for a second. When you first saw your current home during your house hunting, you most likely took stock of the types of flooring, including the carpet. It you saw a dirty carpet, you would have moved on to the next place. Although, you most likely did not. You probably fell in love with your home and are enjoying life in it now. That is the power of first impressions: something as simple as a clean carpet can play a role in a major purchase. 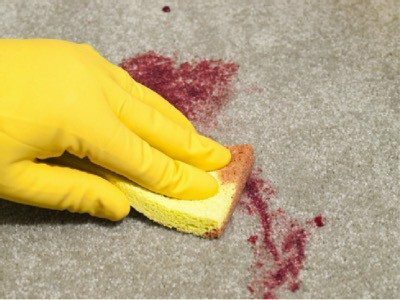 Don’t Struggle to Keep Your Carpet Looking Like New. Let Us Help You! First impressions with your carpet go beyond a home purchase. They leave impressions on guests, family, and friends. When people come over, a dirty carpet is a sign that the rest of the house may not be well kept. This is especially true for children. When you invite your child’s new friend over for a visit, you want their parents to know you keep a clean house. That way your child will not lose a friend over a dirty carpet, just like you do not want to repel those family members, guest, and friends yourself because you want them to return. That is why a clean carpet is so important. Carpet cleaning is more than just vacuuming. We all believe vacuuming our carpets is enough to keep them clean. That, however, is not the case. In fact, according to an article in the Huffington Post, “Professional steaming is, like it or not, legally the only way to protect your carpet in most cases. 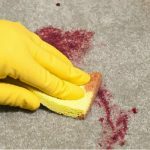 And it’s also a way to protect your health.” If you try to clean your carpet yourself, you could void the warranty. Plus, it is recommended carpets be cleaned every 12 to 24 months to keep a warranty valid. Health is a major reason for a clean carpet. According to Robin Wilson, an expert on indoor air quality, “Indoor air quality can be eight to ten times worse than outdoor air quality, if you don’t clean your flooring, clean your drapes and let air inside regularly.” This means that your carpets are probably filled with allergens, including dust and dust mites which makes for dirty carpet. If you have pets, it is recommended to clean in shorter intervals such as every six months. This is because pets carry more dirt, grime, and other particles from outside that the human eye cannot see. Thus, to keep your home as clean as possible for your health, it is important to clean your carpets. At Ultra Clean Floor Care, we know the importance of clean carpets first hand. This is because we are a family owned business that wants a clean carpet for the same reasons as you. We want to make good first impressions and keep a clean home for health purposes. That is why we take care to not just clean carpets, but to do so better than anyone else. We offer multiple packages to meet everyone’s needs, from a basic economy package to our ultra clean package. We use the best equipment, a multi-step cleaning process to ensure your carpets are as good as new, and are respectful of protecting your existing furniture. In addition, our licensed professionals are on time, cleanly dressed, and friendly. Because we are a family business, we want you to be a part of that family for a long time to come, which is why we go to all these extra lengths to treat you like family. We want your first impressions to be lasting impressions. Let us make that dirty carpet clean again. Visit www.ultracleanfloorcare.com to learn more about our packages, see samples of our work, and contact us for a consultation.